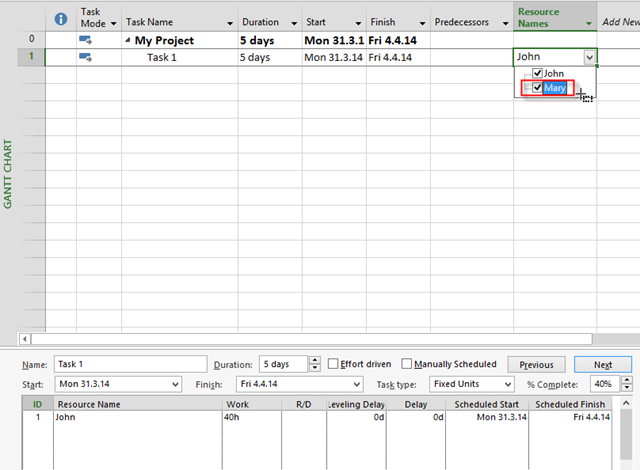 ← Adding new Resource on the Partial Finished Task in MS PROJECT 2013 – Part 1 of 2! 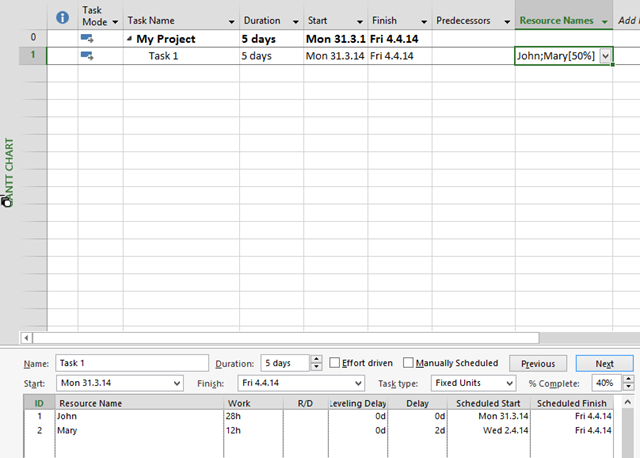 Adding new Resource on the Partial Finished Task in MS PROJECT 2013 – Part 2 of 2! Today I’ll show another way of adding Resource after it is, for example, 40% Finished. As you can see, John is done with work on Monday and Tuesday (this is 40% of Job done), and now wee need Mary. Mary will work 8 house at Wednesday, Thursday, and Friday. Duration remains the same e.g. 5 days. 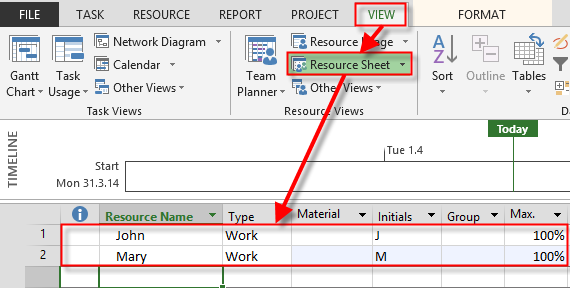 To conclude, if you want to get those three Options do not add additional Resource from Task Form Screen! This entry was posted in MICROSOFT PROJECT, Microsoft PRoject 2010, Microsoft Project 2013, MS PROJECT 2010 and tagged Microsoft Project 2010, Microsoft Project 2013, MS PROJECT 2013, MS PROJECT 2013- Resources. Bookmark the permalink. 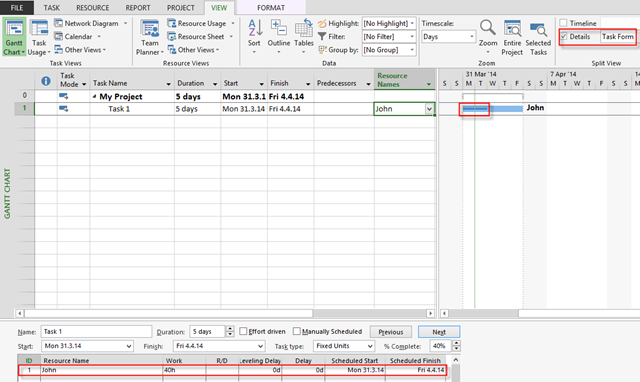 3 Responses to Adding new Resource on the Partial Finished Task in MS PROJECT 2013 – Part 2 of 2! Exceptional post and very helpful!!! Great article. How does Project Server timesheet behave in this case?